The Archos 7 Home Tablet is almost home here in America. News is that the Android based tablet has just come to the front doors of The Federal Communications Commission. The Acrhos 7 Home Tablet made some small waves back when it was announced at CeBIT 2010. It isn’t the most stunning or powerful tablet but it is the first 7″ inch Android tablet to bring all the features of Android and the internet to a tablet computing setting. This isn’t the first Android based tablet Archos has released, the Archos 5 is their original entry into the tablet market. The 5″ inch tablet running a 800mhz processor and costing over $350 hasn’t gotten the best reviews, but Archos seems hopes the Archos 7 Home Tablet will do much better. Like I said the Archos 7 isn’t the most stunning, it features a large 7″ inch touch screen with a 800 x 480 resolution, but to make this model more affordable Archos has added a 600mhz ARM9 Rockchip, instead of the 800mhz that’s found in the Archos 5. It comes with 128 MB of RAM, 8 GB of SSD storage, 802.11 b/g WiFi, USB and MicroSD slots, and has the potential to play up to 7 hours of video. The only thing that seems to hinder this tablet is the fact that it will be running Android 1.5 and more than likely will not have the Android Market, but instead it will have a web browser, emaill app, music and video player pre-installed. I’m sure Archos will offer some type of app store for it’s customers. But the selling point is the $199 price tag, which makes it affordable and a pleasant option for those that don’t want to spend $500+ on a tablet. 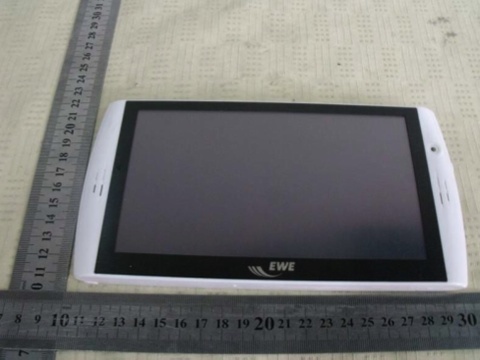 I hear that thee FCC is currently testing out a German branded 3G version of the Archos 7, and it’s rumored to be released by the end of this month. No word on a 3G for the U.S. to be honest we are actually lucky to be getting the Archos 7 at all. Some thought that it would only be available in Europe, but obviously this isn’t the case.